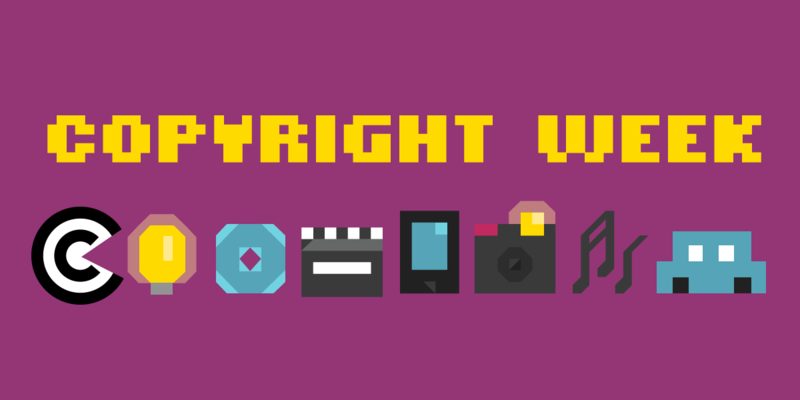 Although copyright is a subject of international law—principally the World Intellectual Property Organization (WIPO)'s Berne Convention from 1886 and its Internet Treaties from 1996—it is still implemented and enforced primarily through national laws. Those laws differ from one country to another in significant ways. One of the most significant differences is the length of the term of copyright protection, which varies from the life of the author plus 50 years (the Berne Convention's minimum requirement), up to life plus 100 years (in Mexico). Differences in the law aren't a bug; they're a feature. Just as a country has the right to craft specific exceptions to copyright law based on its own national circumstances (for example in India, where many foreign books are not available for sale, copyright law allows public libraries to make up to three copies of such books), so too it should be able to adopt the copyright term that makes the most sense for its citizens—which in most if not all cases will be the shortest term allowed. But because differences in copyright term make things more complicated for copyright holders, there are constant efforts by some copyright holders to try to homogenize the duration of copyright so that they can more easily enforce their copyrights worldwide—and of course, they would like them to be harmonized at the life-plus-70 year term, so that they can extract another 20 years of monopoly rents, over and above the Berne Convention's standard life-plus-50 year term. Trade agreements are one way that they are trying to achieve this. Here's how. Like the WIPO Berne Convention, a trade agreement is essentially a treaty, but with two important differences. First, whereas WIPO treaties are negotiated with a pretty good degree of transparency and participation from users, including input from groups like EFF, library associations, and groups representing users with disabilities, trade agreements… aren't. The groups who have access to those negotiations are the cleared corporate lobbyists that staff the U.S. Trade Representative's (USTR) Trade Advisory Committees, or their equivalent advisory processes in other countries (we wrote more about this for last year's Copyright Week). Last month an EFF-led group associated with the United Nations Internet Governance Forum (IGF) issued recommendations about how trade negotiations could be made more transparent and inclusive, but this remains an ongoing battle for now. A ‘more is better’ mindset, and poor consultation and transparency, have proven problematic in Australia’s international IP dealings. International agreements that commit Australia to implement specific IP provisions — such as the duration of patent or copyright protection — have worked against Australia’s interests. These agreements typically involve trade-offs, and keen to cut a deal, Australia has capitulated too readily. One of the rules that is typically traded away is the extension of the copyright term. That's the one and only reason why Singapore and Chile extended their copyright terms in 2003, Australia did so in 2005, and Bahrain and Morocco did so in 2006, just to mention a few. Six of the parties to the Trans-Pacific Partnership (TPP) that had not already extended their copyright terms were a hair's breadth away from doing so until President Trump withdrew from the agreement, and with it, the imperative for them to agree to the extension fell away. In the TPP's current incarnation as the CPTPP, no copyright term extension is required. However the threat that countries will be coerced into extending their copyright terms through closed, opaque trade agreements remains. For one thing, it's not just the United States pushing this agenda; Europe is doing so also. Tragically, even as Japan was saved from being required to extend its copyright term under the TPP, it has agreed to do the same thing under a pending trade agreement with the European Union that was released as a draft last month. Another European trade agreement currently under negotiation would require the Philippines—which is poorer than any European country—to extend its copyright term to life-plus-70 years. Even when the United States is not negotiating a trade agreement with another country, the USTR can still seek to influence that country's copyright law through the publication of its annual Special 301 Report. The Special 301 Report, a document with no international legal status or effect, contains a "Watch List" of countries that don't do enough to meet the United States' unilateral demands for changes to their copyright laws, with the implied threat that they may face trade retaliation if they continue refusing to do so. In 2016, the United States added Switzerland to this Watch List, and like Swiss clockwork, a year later the country was proposing major reforms to its copyright law, including the extension of the term of protection for performances (which is strictly a "related right" rather than a copyright), from 50 to 70 years. This is the same change that Canada made in 2015, resulting in the country receiving a pat on the head in the USTR's 2016 Special 301 Report, though it still remains on the Watch List. At least three things have changed since trade agreements were first successfully used to push the life-plus-70 year bandwagon in the early 2000s. First, shortly after those agreements were negotiated, strong new evidence began to emerge from economists challenging the presumption that longer copyright terms would be linked to increased economic growth. This included a brief from 17 leading economists [PDF] in the case of Eldred v Ashcroft, which was an (ultimately unsuccessful) legal challenge to the U.S. copyright term extension law. Economists today commonly agree that a copyright term of around 14 years may have been a better choice. Second, the unchallenged global economic dominance of the United States has steadily declined in recent decades. The economic giants of China and India, which are amongst the parties negotiating the Regional Comprehensive Economic Partnership (RCEP), are both countries that hold to the Berne life-plus-50 year term, and are unlikely to extend their copyright terms any time soon. Amongst the NAFTA negotiating parties, Canada still has a life-plus-50 year copyright term, and has expressed a firm resolve not to depart from this. Whereas once the United States might have had the clout to force Canada's hand, today it stands in a weaker position—particularly given the TPP parties' decision to excise copyright term extension from that agreement. does not support extending the copyright term, especially since many of our members benefit from having access to a thriving and substantial public domain of older works. If anything, we would likely support a rollback to a term of life-plus-50 if it were politically feasible. While it may not currently be politically feasible for the United States to roll back its own bloated copyright term, it is certainly feasible for it to stop attempting to force this term onto other countries through secretive trade agreements. Indeed, there are very good reasons why U.S. trade negotiators should cease wasting their political capital on an issue that even the creative sector is no longer concerned about, when they could be expending that capital on some of their other, even more contentious demands. Copyright term extension was never a good idea. But it's a much worse idea when it's being forced upon countries that don't want it, as part and parcel of a closed, exclusionary, and lobbyist-driven trade agreement. The United States and Europe must cease demanding that their trading partners increase their copyright term, and countries receiving such demands should feel empowered to refuse them, knowing that even the creative industries are now coming around to the idea that a longer copyright term is not better.